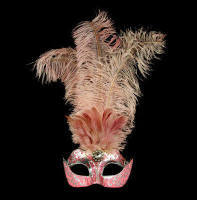 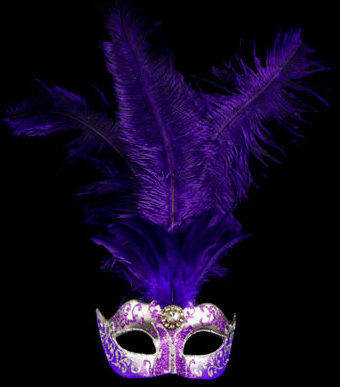 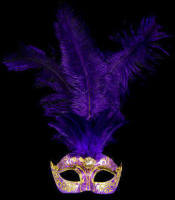 This Stella Feather masquerade mask comes with Silver & purple base with hand painted purple & silver swirls. 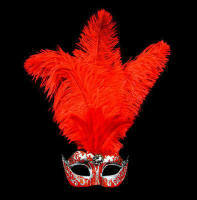 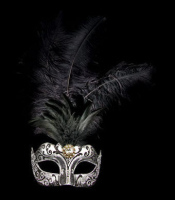 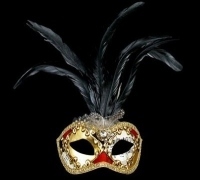 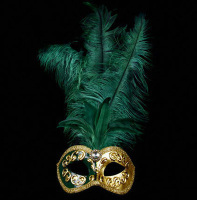 Designed for women, this mask is ideal for masquerade events, whether it be a wedding, a party or an elegant ball, this mask is sure to impress with its striking design and vibrant colours. 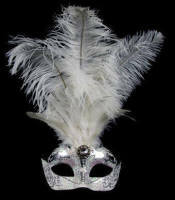 Black satin ties make this mask easy to adjust and comfortable to wear. 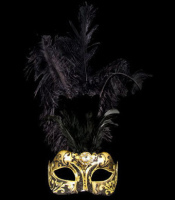 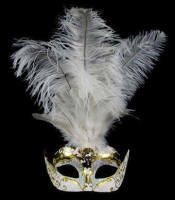 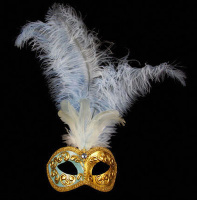 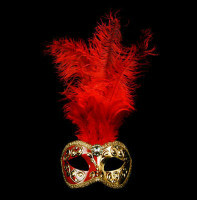 This Venetian mask has been handmade in the genuine tradition by the best mask makers in Venice ensuring a classic, authentic style and genuine traditional quality.